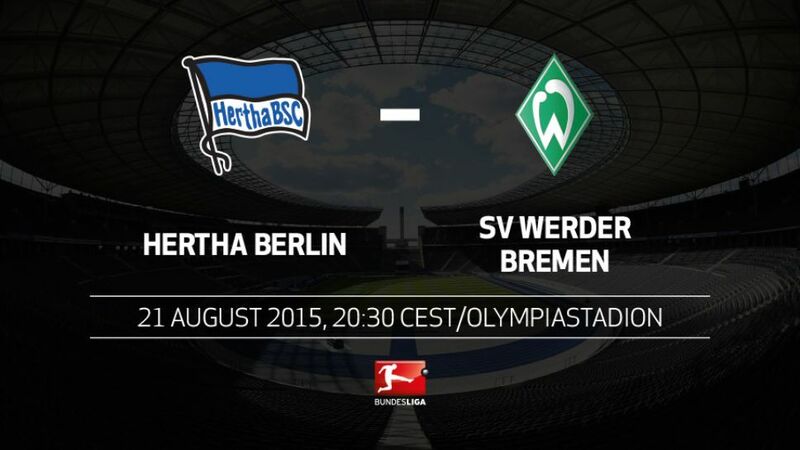 Berlin - Matchday 2 of the 2015/16 campaign kicks off in the capital, where Hertha Berlin will welcome SV Werder Bremen to the Olympiastadion on Friday evening (kick-off 20:30 CEST / 18:30 GMT). Hertha have never won their first two games of a Bundesliga season.Werder haven’t lost their opening two games of a campaign for 16 years.Hertha currently occupy a place in the top half of the table for the first time since last season’s Matchday 1 draw with Bremen.Hertha are yet to concede this season and have so far recorded nine clean sheets from 17 games under Pal Dardai.Bremen conceded a joint-league-high 65 goals last season had have already shipped three. Salomon Kalou has scored in successive games for the first time as a Hertha player (in the Bundesliga against Augsburg and in the DFB Cup at DSC Arminia Bielefeld).